"Bringing the Best of Michigan to You"
This year, we hosted our annual Harvest Celebration in conjunction with the Indian Hill Wine Cellar. 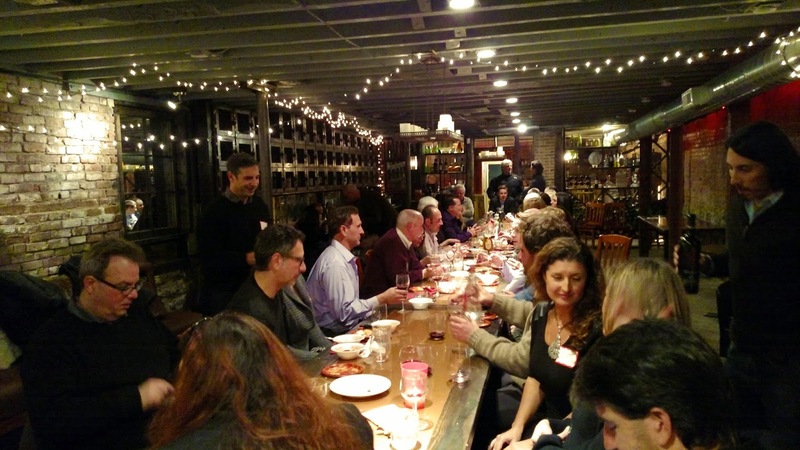 It was an evening of free-flowing fun and great people – all with an interest in the good food system. We were very warm despite the snow outside and were thrilled that farmers and guests alike braved the first big snow of the year to come out and celebrate with us! Local, organic greens and mushrooms were harvested the day before – then freshly prepared for the evening. We also had local beef, cheeses, breads, and more! Everyone enjoyed our Michigan-sourced meal. The food was held in our Café area - part of our new location, which we introduced guests to for the first time. Our plan is to launch this café in Spring 2015. We all socialized, sipped wine, and ate great food until it was time for the official wine tasting. Each guest received four carefully selected wine tasting pours from the Indian Hill Wine Cellar. At the end of the night, we gave away Michigan artesian door prizes to eight lucky winners! This year's celebration was a great experience, and we are thankful to all that attended. It is wonderful to see and speak with people in our community that are truly passionate about the food system and who are making a difference in the shift towards local food. We look forward to your support and great things happening in 2015!